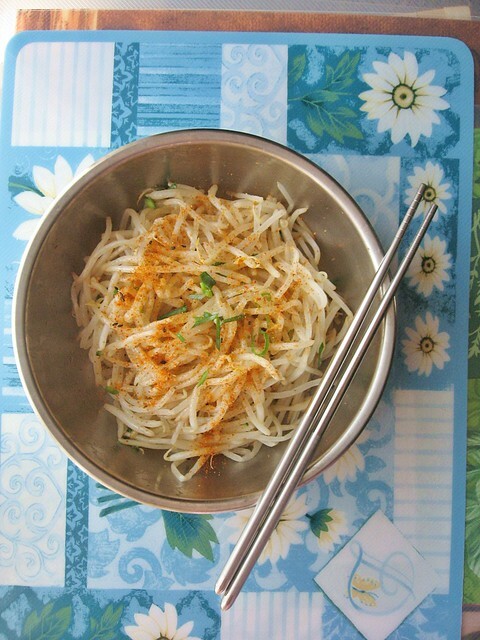 With a quick and easy bean sprouts stir-fry, this salad-style bean sprouts dish which is even quicker and easier to prepare and cook, immediately caught my attention. Quick and fuss-free side-dish recipes are great when cooking the main dish itself takes a little more time, and when stove-top space is limited. 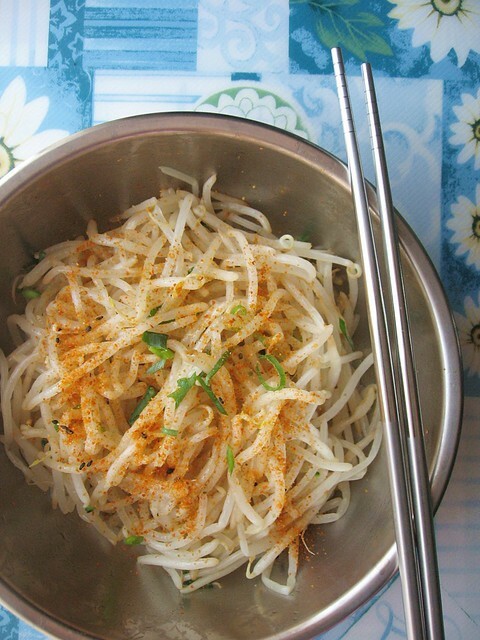 With this Bean Sprouts Salad, all that was required was a pot of boiling water to blanch the bean sprouts 1-2 minutes, then season the blanched sprouts to make a flavorful and light side-dish salad. Now, with the side-dish taken care of, I can start cooking the main dish chicken rice; starting up two stove-top burners - one for making chicken stock and chicken (Poached Chicken recipe), and one for cooking the rice (Chicken Rice recipe). 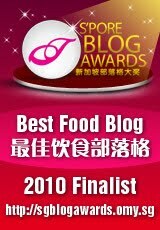 Besides being a super-easy recipe, I also like the generous use of Japanese 7-spice powder in this bean sprout salad recipe from JustOneCookbook.com. While the salad can be use as a topping for ramen noodles, it can also be used as a side-dish for a rice dish such as chicken rice and bibimbap.